This four week course gives a firm introduction to mindfulness and core mindfulness skills. It includes practices from the classic 8 week MBSR (Mindfulness based stress reduction) course, however, it necessarily a more condensed experience. Attending all the sessions and undertaking the homework is therefore even more important. 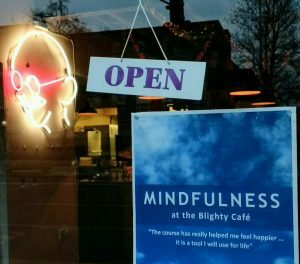 What is mindfulness and our automatic pilot? The course is for the general public but may be of special interest to staff, working in charities or the NHS, who would like to better understand stress and how to manage it mindfully. It is not a therapeutic or counselling course. It is an experiential course - learning by doing and exploring. Activities will include exploring techniques and discussing experiences with other participants and the course tutor. Weekly "homework" will be set using simple worksheets and guided meditation recordings. To get the maximum benefit from the course participants should commit to attend all the sessions, do a daily meditation at home for 20-40 minutes and carry out some simple assignments between sessions. No previous knowledge or experience is required but you may wish to read around the subject to supplement the experience. I would recommend Prof Mark Williams book "Finding Peace in a Frantic World" or Michael Chaskalson's book "Mindfulness in 8 weeks"